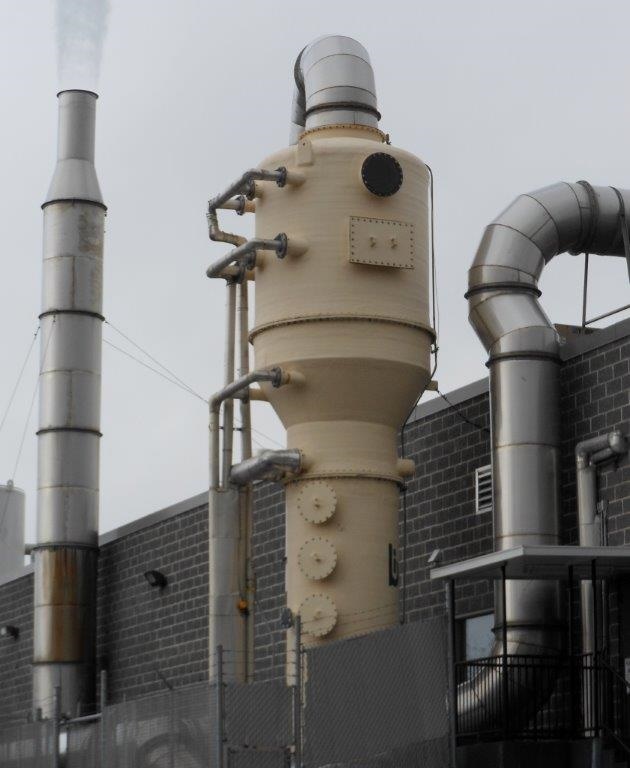 Bionomic Industries, Inc., an industry leading manufacturer of proven air pollution abatement, product and heat recovery technologies, has announced availability of their new RotaBed patented "Fluidized Bed" Scrubber. Designed to handle gas capacities from 500 through 250,000 acfm, RotaBed’s superior performance comes from a unique swirl induced Coriolis grid that achieves much greater fluidized bed stability, resulting in more efficient gas mixing and transfer efficiency than less advanced designs. The scrubber’s turbulent, “packless”, highly plug resistant mass transfer bed is up to 99% open in the fluid contact scrubbing zone and delivers ultra high efficiency gas absorption and particulate collection of over 99% on most applications. Despite its space-saving design, RotaBed delivers exceptionally high throughput capacity that is over three times greater than comparable sized packed towers or tray scrubbers. A two stage chevron mist eliminator ensures complete droplet removal from the gas exiting the scrubber. Typical applications include acid gas removal from high temperature thermal oxidizers, chlorine dioxide and sulfur dioxide removal in pulp and paper bleach plants, acid and alkali fume removal from pickling, galvanizing, and cleaning lines including HCL regeneration plants in the metals industry, odor control and VOC removal from process operations, product dryers, and waste treatment operations, flue gas desulfurization using limestone, lime and soda ash chemistries at power generation facilities, and acid, gas, and particulate scrubbing in a wide range of process industries.